After some 94 days without access to the Internet, the government of Cameroun has restored connection to about 5 million people living in the anglophone regions of the country, reports ITRealms. The Camerounian government, in an official statement available to ITRealms by the Minister of Communication, Issa Tchiroma Bakary, said that the Northwest and Southwest Regions have been restored with Internet Connections due to the social situation in linked to the demands expressed by English-speaking lawyers' associations, extremist activists, driven by secessionist intrigues, took the opportunity to disseminate hate messages and incite violence and abuses of all sorts. According to the Minister, at their instigation, children were molested and prevented from returning to school, men and women saw their daily activities disrupted, public and private buildings were burned, order were attacked etc. These criminal activities, the Minister said, fall within the scope of the law, notably the one relating to the repression of acts of terrorists, have been perpetrated for the most part via social networks. Also, the minister said that in such circumstances, the public authorities had an imperative duty to restore order, to ensure the security of citizens and their property, and to guarantee the functioning of administrative services. Insisting that the government of the Republic, had to, among other security measures, to suspend Internet connections in the Northwest and Southwest Regions. 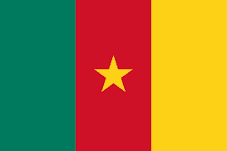 The Cameroonian people, Bakary said, is attached to the unity of the country and living together, has once again shown its great maturity. “The important steps taken by the Government to respond favorably to the legitimate concerns of English-speaking lawyers and teachers, as well as the creation of the National Commission for the Promotion of Bilingualism and Multiculturalism, of the national territory,” Bakary pointed out. While Cameroon's friendly countries and international partners, the minister said, have rightly welcomed these efforts by the public authorities towards the settlement and easing of the crisis in the North-West and South-West Regions. “It therefore appears that the conditions underlying the provisional suspension of the Internet in this part of the national territory have changed considerably,” Bakary said. So, the Head of State, Mr. Paul Biya, therefore instructed the Minister in charge of Posts and Telecommunications to ask mobile operators to re-establish Internet connections in the Northwest and Southwest regions.